This vibrant portrait depicts Lady Elizabeth Fortescue set against a landscape with trees and clutching a tiny songbird. Wearing a claret dress with white under-sleeves and a pearl necklace, it is her exceptionally long braids that catch the eye most. Lady Elizabeth was born in 1801 at Powderham Castle in Devon, the youngest child of Hugh, 1st Earl Fortescue and Hester Grenville. She married William Reginald Courtenay, 11th Earl of Devon in 1830 and with him had four children. 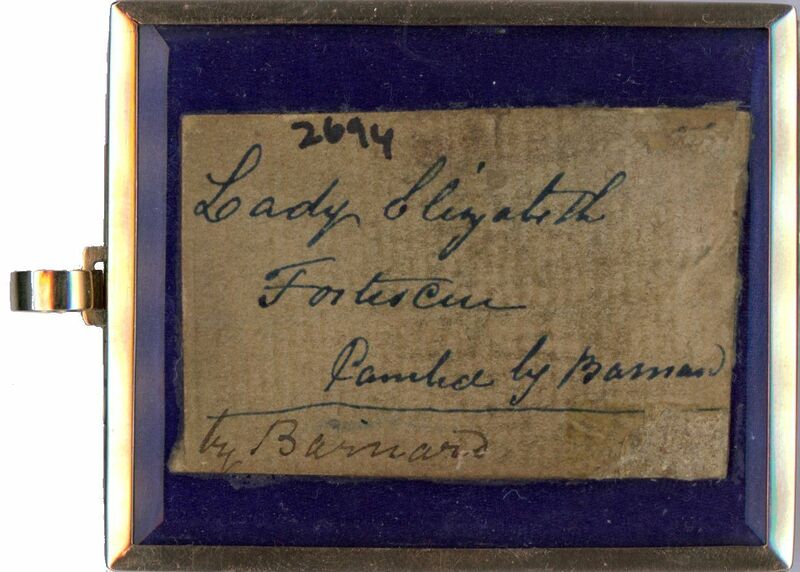 An old inscription on the reverse of the frame names the artist of the portrait as Barnard. Born in 1816 in Portsmouth, Joseph Osmond Barnard sailed to Mauritius as a stowaway whilst in his early twenties. There he married a young lady of Dutch descent and established himself as a miniature painter, engraver and drawing master. 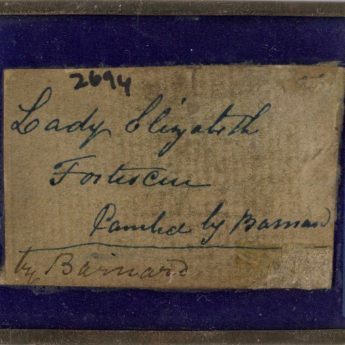 His commission in 1847 to produce a series of Mauritius Post Office stamps engraved with a portrait of Queen Victoria secured his future; these are now amongst the rarest postage stamps in the world. Barnard died in 1856 leaving a large family who continued to live on the island. 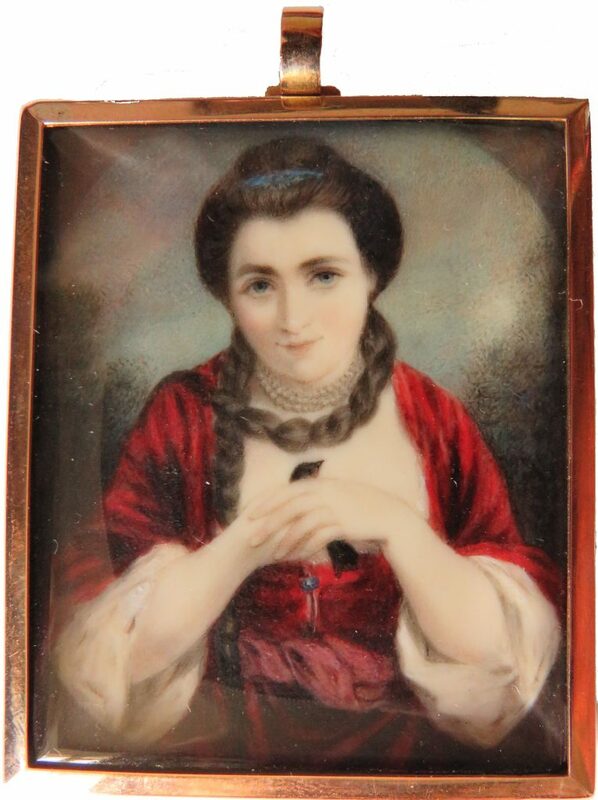 The portrait is set behind bevelled glass in a gold frame that is also glazed on the reverse to reveal blue silk.